Yes, yes, I know you know that I love gin. Mother's Ruin, Ladies Delight - whatever you want to call it, its bloody delicious - especially at 5pm as we are entering the witching hour and the kids are driving us crackers. Whether it's served with a simple tonic water or mixed into a glorious cocktail - it's one of my favourite alcoholic beverages, so when Aldi contacted me and asked if they could send me a bottle (along with some other bottles - hic!) I was hardly going to say no! 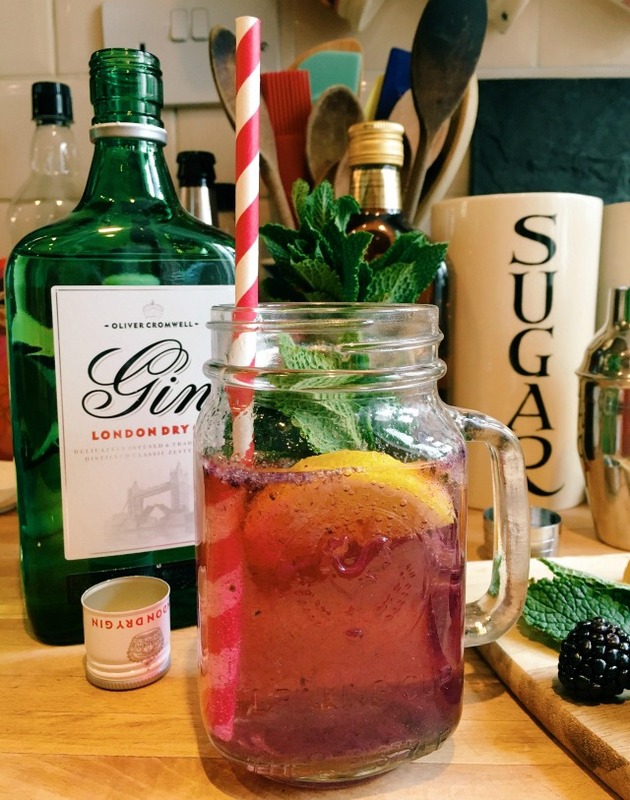 They've created a new range of cocktails for spring and summer - and I gave their gin based Blackberry Smash a go. It's super easy to make but looks seriously impressive - and will be perfect served at an Easter party later this week, or as an aperitif at a summer BBQ. 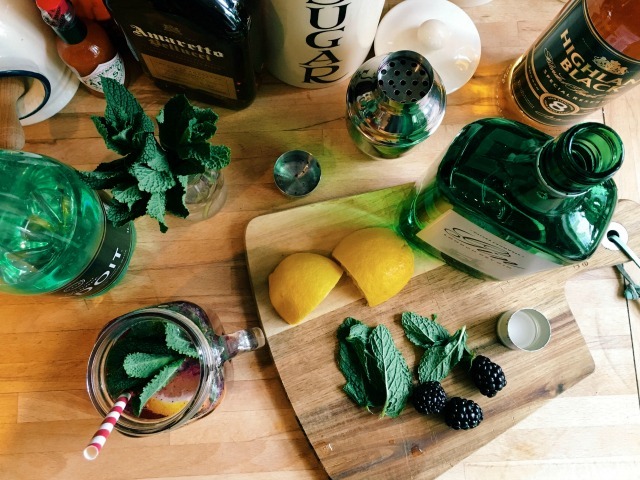 Garnish with a lemon wedge, blackberry and large mint sprig. Finely dust with castor sugar to give a frosted look. Delicious fresh berries and fresh lemon juice combine with the crisp taste of gin to make this cocktail the perfect drink for a summer afternoon. With its uplifting citrus and berry notes, Blackberry Smash is an excellent drink to pair with a summer picnic or a cocktail you can enjoy in the garden.